Ernest Thorn was born in Poland. Attavar (not Avatar) was one of his illusions. From Magic, a magazine published by British magician Ellis Stanyan. The accompanying photograph represents Mr. Thorn's latest illusion "Attavar," which he is now presenting on the continent with marked success, at the time of writing, at the Rembrandt Theatre, Amsterdam. "Attavar" is the invention of Mr. Thorn, who, for that matter, invents most of the illusions he presents. The effect of this his latest production is as follows: A hammock is suspended between two tables placed one on top of the other and a lady goes into the hammock. In one second the top table, hammock and lady all disappear, in full light, and without the aid of traps, mirrors, curtains or cabinets. I have not seen the illusion but I understand that it is more astonishing when seen than the most exaggerated description on paper can make it appear, which is in striking contrast to the average illusion— therefore it should prove an attraction indeed. The subject of our sketch recently appeared at our Empire with a very novel and attractive programme. The stage was beautifully set with a number of small but elegant tables, glass tops on N. P. Stands; also the apparatus for no less than four large stage illusions— The Cage on Pedestal, Double Box Change, Aga and Double Hexagonal Cabinets. He is not so well known in this country as in most other parts of the world, and for the simple reason that up till recently he has been for some years permanently located in Lemberg (Austria), as director of the Colosseum. Prior to that he gave consecutive performances in Vienna, an almost unparalleled achievement for a conjurer. 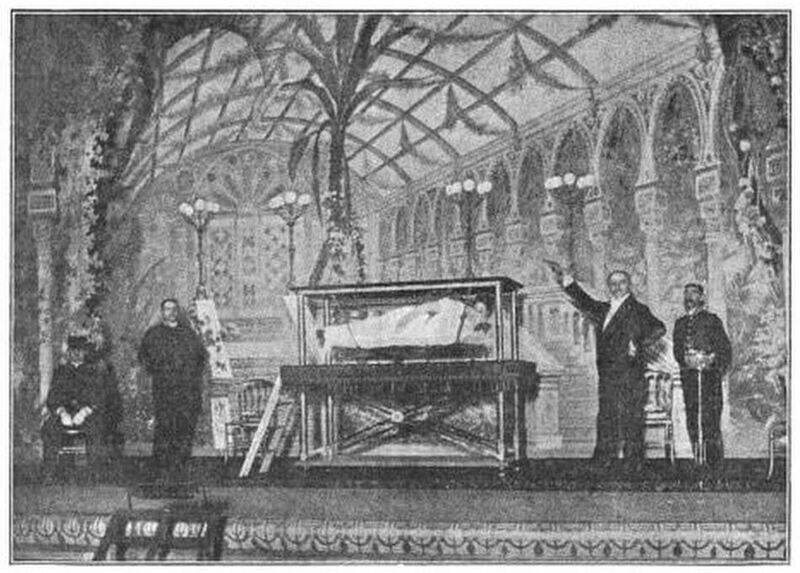 And still earlier he made a ten years' extended tour of the world visiting Australia, San Francisco, California, Oregon, British Columbia, Canada and leaving New York City about 1883 from which time he has been almost constantly on the continent introducing the latest novelties in illusions, and large and small stage effects. Thorn is not only a clever performer, he is a gifted linguist, speaking eight languages fluently, which enables him, so readily, to win the plaudits of an audience in any part of the world. He was well known and appreciated in America some years ago under the style of Chevalier Ernest de Thorn. He has only recently commenced to tour the world again and we offer him our best wishes for a tremendous success. 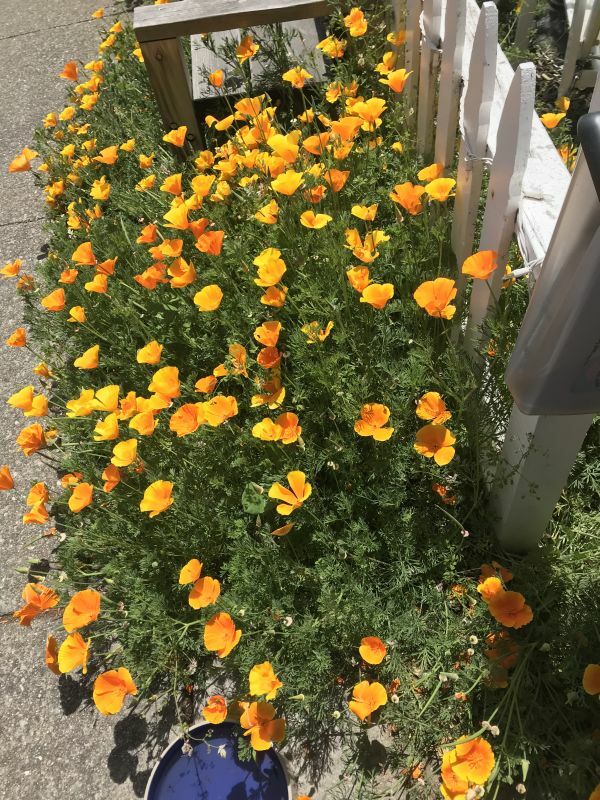 Our state flower, California poppies, in Half Moon Bay. 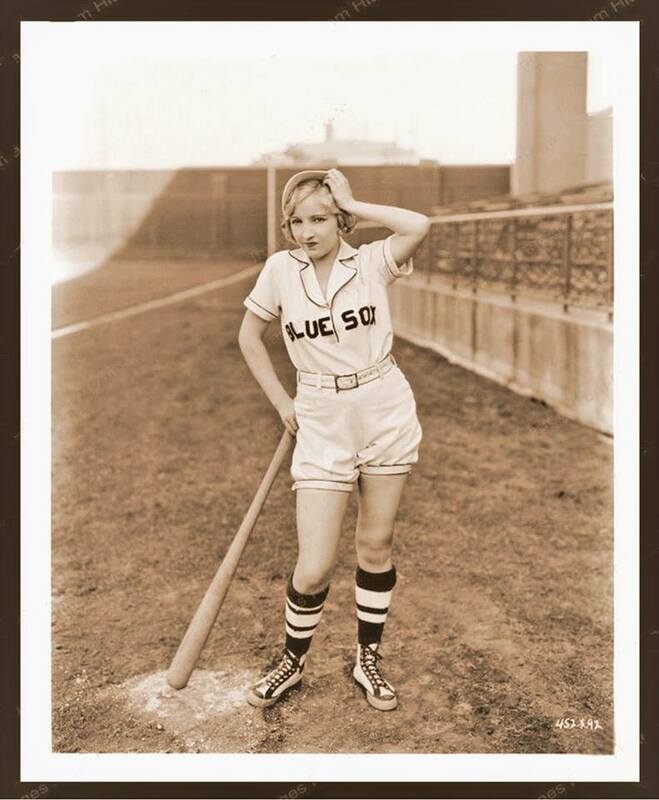 I have always been fascinated by the career of actress Bessie Love. 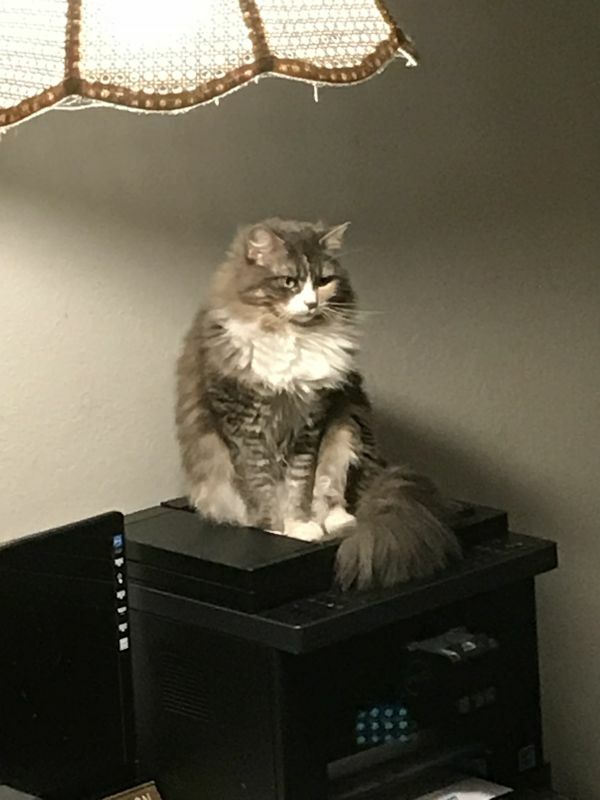 She was born in Texas. Her name was Juanita Horton. Her family moved to Los Angeles and she went to Los Angeles High School. Looking for work, she met director DW Griffith and got a small part in Intolerance. She appeared in movies with William S Hart and Douglas Fairbanks. She was a 1922 WAMPAS (Western Association of Motion Picture Advertisers) Baby Star. She played many leading roles, most famously in The Lost World, but never broke through until the talkies came, when she starred in The Broadway Melody. Her career was hot again for a few years, but then tailed off. She continued to appear in small parts in movies until the early 1980s. Here we see her dressed for baseball. I took this photo on 11-May-2018. 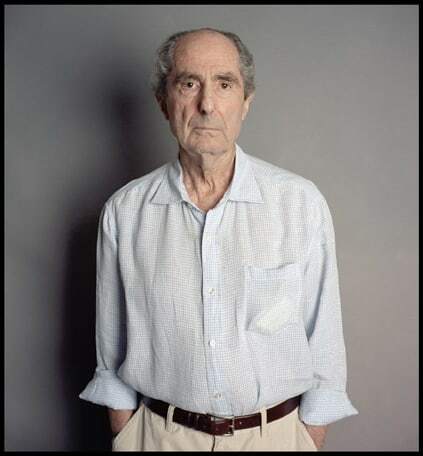 When I heard that novelist Phillip Roth had died, I debated whether I should write something. I have never read any of his novels, and I don't think I have read any of his short stories. Despite, I have read and heard about him all my life. Professors in college mentioned him, but never assigned any of his works for us to read. Lots of people made jokes about Portnoy's Complaint. I have read many reviews of his later novels, but never tried to read one. I should. 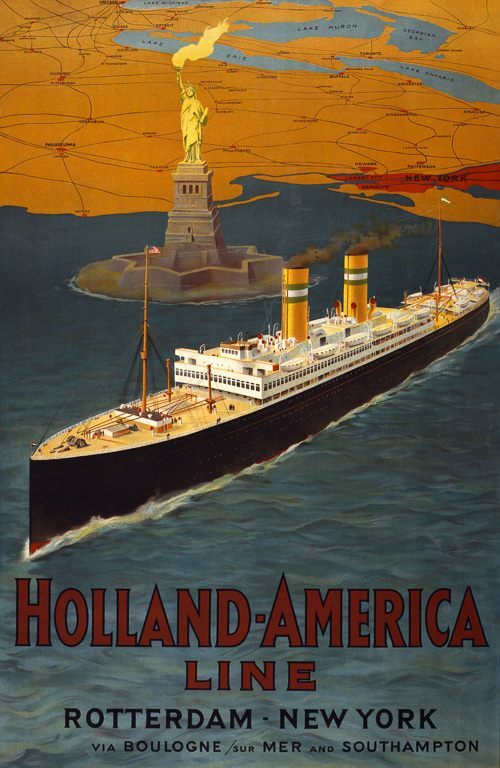 A poster for the Holland America Line of steamships shows the Statue of Liberty with a really big flame on her torch. 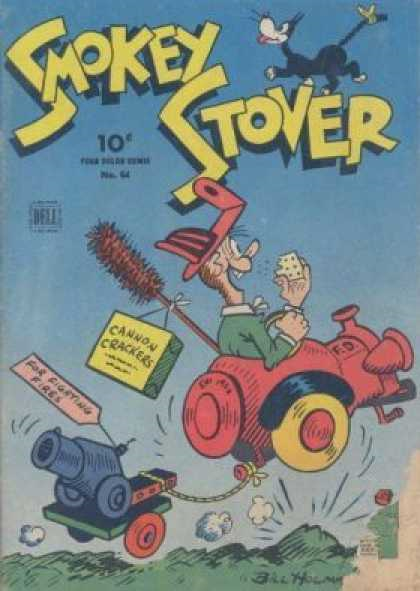 The San Francisco Chronicle never carried Smokey Stover, so I didn't learn about the foo fighter and his strip until I started reading books about comics. 100 years ago today, on 19-May-1918, Raoul Lufbery, the most experienced American fighter pilot, was killed in action. Lufbery was born in France, but his father was American. He had 16 confirmed victories while flying for the French Lafayette Escadrille and one more for the Americans. Huns Kill the U. S. Air “Ace” Over the American Lines. Airman’s Only Wound Was a Hole Through the Thumb—Yanks Take Revenge by Destroying Hun Planes. Paris, May 22.— Maj. Raoul Lufbery, the first American ace to be killed as the result of an aerial fight, was burled on Monday with full military honors by French and American detachments. With the American Army in France, May 22. — Maj. Raoul Lufbery, who has been regarded us the best aviator in the American service, was shot down in flames and killed Sunday morning by a big German triplane which he was attacking. Lufbery jumped from his flaming machine when 800 yards above the ground. He had 17 victories to his credit. Lufbery's home was in Wallingford, Conn. The German machine which brought Lufbery down was armed with two machine guns, with an operator for each piece. Lufbery's only wound, aside from those he received when he crashed to earth, was a bullet hole through the thumb. Apparently the same bullet punctured one of the gasoline tanks of his machine. The German machine was under heavy antiaircraft fire several times both before and after the air fight, and one explosion of a shell upset the enemy plane, but it managed to straighten out again. It was about ten o’clock in the morning when a German triplane suddenly descended from the clouds, apparently because of engine trouble, until it was only some 1,500 meters over the city of Toul. The American flyers were on the alert and some of them headed for the fighting line to await the enemy on his return. Lufbery and the pilot of another machine made after the Germans, who quickly ran away from the direction of the line, the two American machines following him. Eight miles away from the enemy’s line Lufbery was seen to attack from under the tall, but then he drew off, as if his machine gun had jammed. Two minutes later he attacked again from the same position, and almost immediately his machine burst into flames. With the American Army In France, May 22. — A French aviator shot down a German plane back of the Lunevllle sector. Two men from the plane were captured by the Americans. The Germans came from somewhere in the rear. It is reported, although not confirmed, that this is the machine which brought down Major Lufbery. There has been extraordinary aerial activity all day in this sector. Two hostile airplanes have been brought down by American aviators, says an official announcement issued at American headquarters. One of the airplanes shot down carried two officers. Both bad been riddled with bullets. Everyone agrees that La Nouvelle-Orleans was founded by Jean Baptiste Le Moyne de Bienville in 1718, but no one knows the exact date. 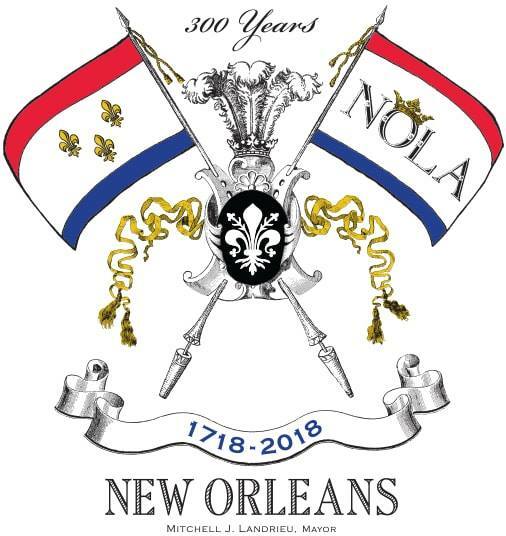 New Orleans has been celebrating the tricentennial all year. Spain took over in 1763 and built what are now the oldest buildings in the city. Spain returned it to France in 1800. Napoleon sold it to the United States in 1803. New Orleans has always had its own unique character. I want to go back. 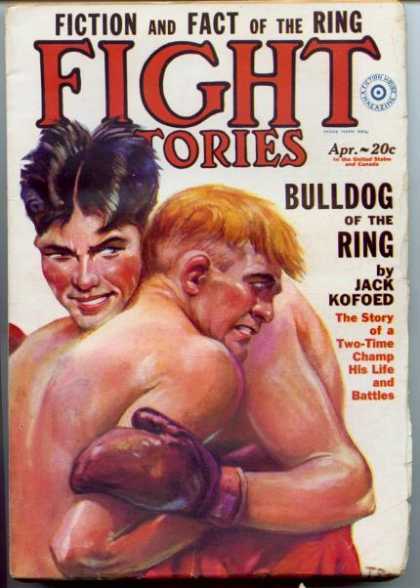 The cover of this issue of Fight Stories advertised "Bulldog of the Ring," the story of Mickey Walker, the Toy Bulldog. Walker held the Welterweight title from 1922 to 1926. He was the Middleweight champ from 1926 to 1931. Walker is regarded as one of the best pound-for-pound fighters of all time. 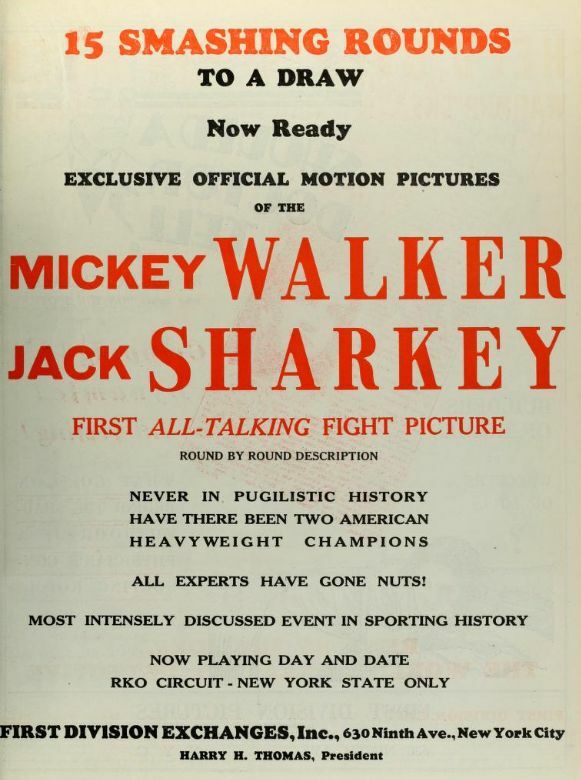 In 1931, Mickey Walker gave up the middleweight championship to fight as a heavyweight. On 22-July-1931 in Brooklyn, he fought Jack Sharkey, the Boston Gob, who would later be heavyweight champion. Walker, who had also been welterweight champ, was regarded as one of the best pound-for-pound fighters of all time. Sharkey was a good fighter at times, but was never consistent. The Toy Bulldog fought the Boston Gob to a 15 round draw. 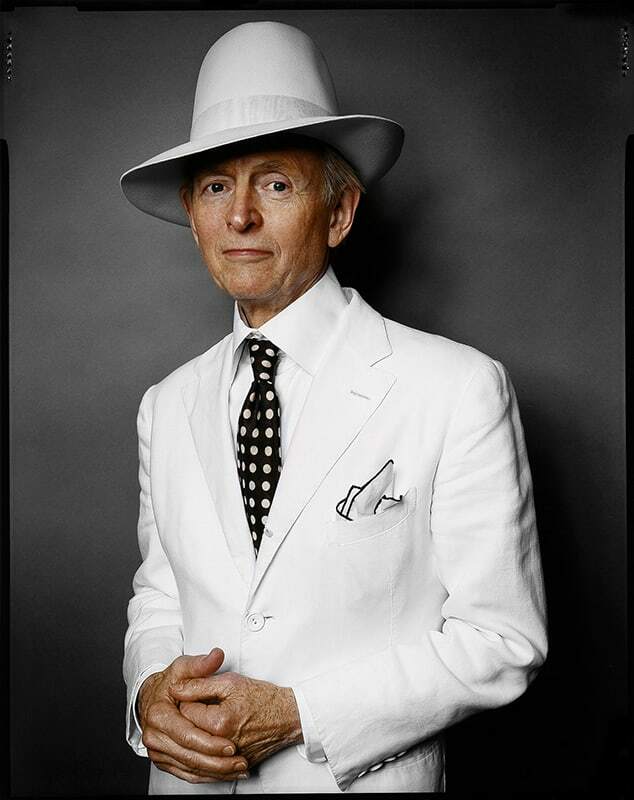 I was sorry to learn of the passing of author Tom Wolfe. 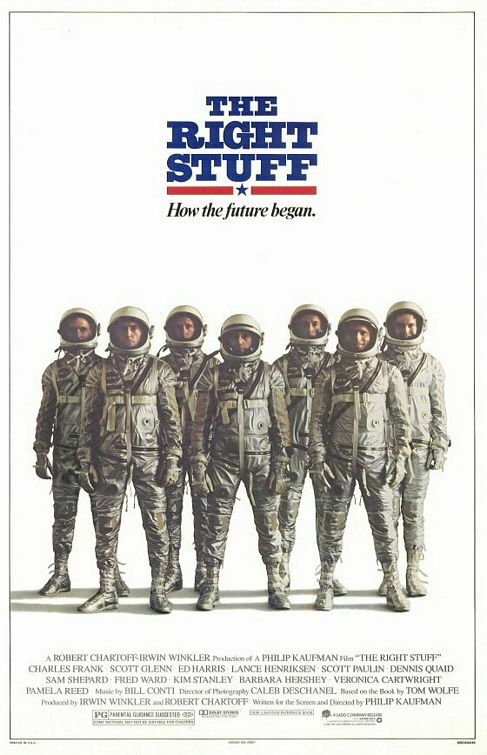 I loved The Electric Kool Aid Acid Test and The Right Stuff. And the man knew how to wear a hat. 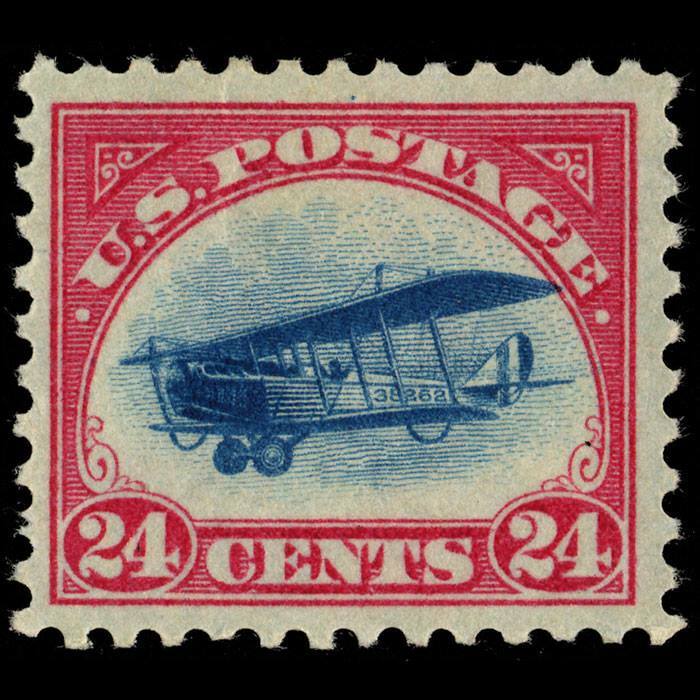 100 years ago today, on 15-May-1918, the first scheduled airmail service flown by the United States Postal Service began. This article from the 15-May-1918 The Daily Gate City and Constitution-Democrat, from Keokuk Iowa, describes the auction of the first airmail stamp and the start of the service. Gazelle, California is way up north in Siskiyou County. Kennedy, California is in San Joaquin Country. Major RH Fleet was Reuben Fleet, who organized the mail flight and later found the Consolidated Aircraft Corporation. New York - Philadelphia - Washington Service Begins Today With Quick Delivery of Sacks. Army Biplanes Carry Letters Through Air Between Big Cities of the East. WASHINGTON, May l5.—Cheered by a great throng including President and Mrs. Wilson, Postmaster General Burleson and K. Kambara, postmaster general of Japan, America's first official aeropost service was inaugurated at 11:47 o'clock today. NEW YORK, May 16.—-An army biplane carrying mail for Philadelphia and Washington got away from Belmont park shortly after 11:30 a. m. today on the first flight o£ the New York-Philadelphia-Washington airplane service. The plane, carrying 182 places of mail for Philadelphia and 460 pieces tor Washington, weighing in all 144 pounds, was driven by Flight Lieutenant Lorry H. Webb, aged 25, of Gazelle, Calif.
Webb, son of Louis Webb, manager of the LaGrange Hydraulic company of Kennedy, Calif., is a graduate of Columbia university and joined the aviation corps at the declaration of war. The big biplane was out of sight ten minutes after leaving the ground. The flight started at the place where the first international aviation meet opened eight years ago. A crowd of invited guests gathered at Belmont park to witness the historical event. Among those who spoke were Postmaster Patten, of New York, Byron Newton, collector of the port, and Allan Hawley, president of the Aero club of America. The entire proceedings were in charge of the signal corps of the army. When the airplane left the ground, climbed for altitude and then turned southward, there was enthusiastic cheering and handshaking among the spectators. Most of the crowd remained on the scene to welcome the mail which started for here from Washington by airplane. PHILADELPHIA. Pa., May 15 -- Lieutenant Webb landed at Bustleton, near here with the first aerial mail delivery from New York at exactly one o'clock this afternoon. This was one hour and a half alter leaving Belmont park L. I., with the mail for this city and Washington. Lieutenant Webb was received by a committee representing the city, state and the nation and was presented with a wrist watch. Second Lieutenant J. C. Edgerton relieved Lieutenant Webb at the wheel to pilot the machine on the 140 miles to Washington. WASHINGTON, May 15—Arrival of Major R. H. Fleet in an airplane from Philadelphia this morning together with favorable weather conditions made it almost certain that the first Washington-New York mail flight would start on schedule. President Wilson left his work long enough to witness the history-making event. Used To Take Over a Day. Eighty-six years has cut the mail delivery between New York and Washington from thirty-two to three hours. In 1832 by a special combination of stage coach, railroad and steamboat, the 250 mile route was traversed in the then remarkable time of thirty two hours. This feat was the subject of congratulatory speeches in the senate. Through establishment of relays of fresh horses every five miles, the pony express attained great speed, delivering New York mail in Washington in fifteen hours. The horses would be run top speed for their five mile stretch, than be replaced by fresh animals. NEW YORK, May 15.-- Clear weather today made opening of the New York-Philadelphia-Washington aerial mail line practically assured. Army biplanes were tuned up at Belmont park, the New York terminus of the air mail route ready for the start. The first "mail plane," carrying 300 pounds of postal matter, was scheduled to get away from Belmont park at 11:30 a.m. The first plane from Washington is due here at 2:30 p.m. In the Washington-New York pouch was one letter addressed to Noah Taussig, 1ll Wall street. The stamp, the first purchased in the Washington office for the aerial mail, was bought by Postmaster General Burleson. President Wilson's autograph, written across the stamp, is the cancellation mark. The envelope and stamp will be presented to the Red Cross to be auctioned to the highest bidder. Already an offer of $1,000 has been made. In the New York-Washington pouch were letters from Postmaster T. G. Patton to President Wilson and Postmaster General Burleson. Another frown Governor Whitman to the president was the first cancelled in the local postoffice. This letter will also be given to the Red Cross. Souvenir seekers, desirous of sending mail on the first trip, swamped the New York postoffice with letters. Only the first 300 pounds received was carried, however. The rest was sent to Washington by a special courier, on a train. William Alexander Coulter did many maritime drawings for the San Francisco Call. I usually feature one of his drawings each month, but this month I though I would post his obituary. You'd think the obituary of an artist would have included an illustration. William Alexander Coulter, 87, known the world over for his marine paintings, died at his home, 121 Third street, last Friday night. 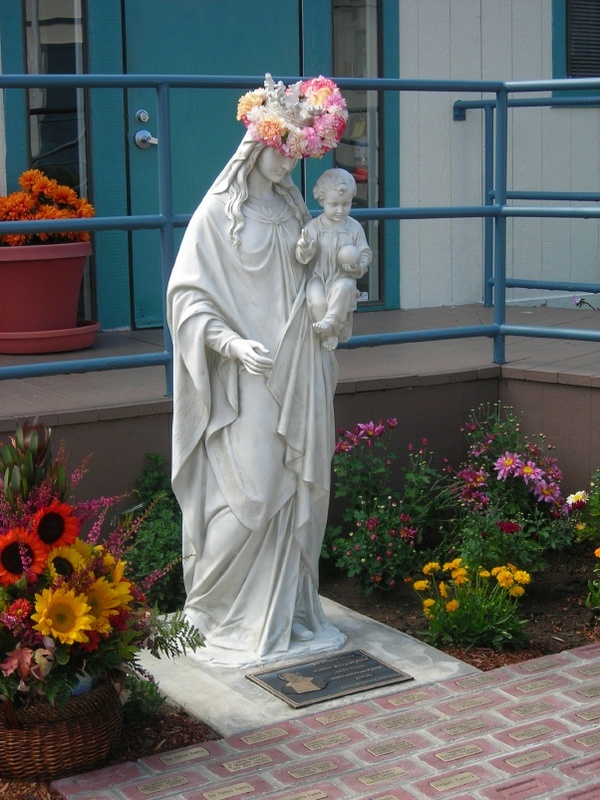 He had been a resident of Sausalito for forty-six j years during which time, from his studios here as well as in San Francisco, he turned out pictures that will forever keep his name before art admirers everywhere. Members of the shipping fraternity have constantly before them the murals in the marine department of the San Francisco Chamber of Commerce on the ground floor of the Merchants Exchange building at 465 California street. Final tribute was paid to the distinguished artist, who had been working on a picture of the Golden Gate Bridge until quite recently when his health did not permit his carrying on, last Monday morning with requiem mass the repose of his soul at the Star of the Sea Church. He was laid to rest in Fernwood cemetery. Coulter was born in Glenarm county, Ireland, March 7, 1849, and as soon as he was old enough to go to sea he shipped on a sailer and for a number of years saw the ports of the world. His artistic talent prevailed, however, and when a young man of 24 he settled in San Francisco and took up the studies that later brought him public acclaim. Many newspaper readers recall his drawings on the old San Francisco Morning Call, especially his covers on the Sunday supplements which invariably concerned ships and the sea. His clipper ships were among the favorites. In 1922 when the Post-office Department wanted to commemorate the Golden Gate by printing a picture of it on the 20-cent stamps it was a painting of Coulter’s that was selected above the many submitted, and this stamp is cherished by many collectors. In fact, the "Voice of Stamps” is due to tell about this incident over radio station KSFO at 6:15 o'clock tomorrow (Saturday) evening. 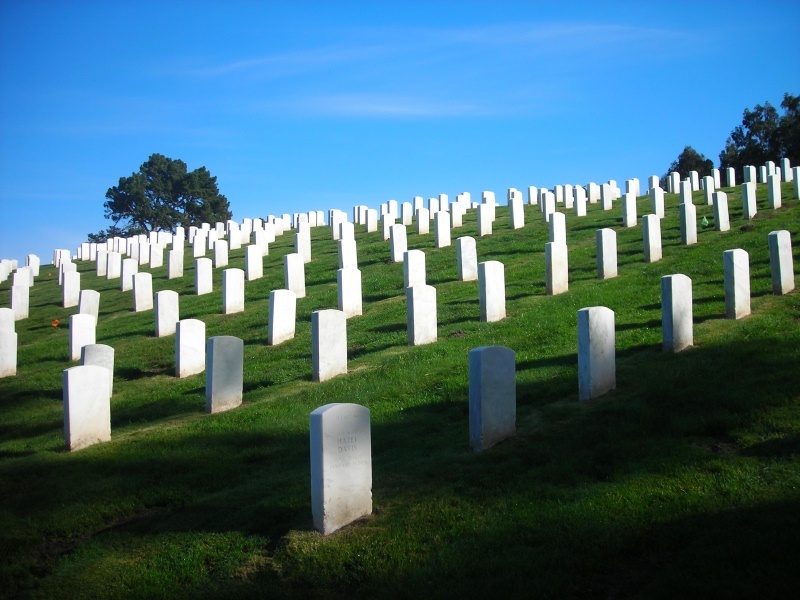 In addition to his widow, Mrs. Harriet A. Coulter, he is survived by two sons, Stuart A. of Charter Oak, and James V. Coulter of Oakland, and a daughter, Mrs. T. C. Hough of Petaluma. 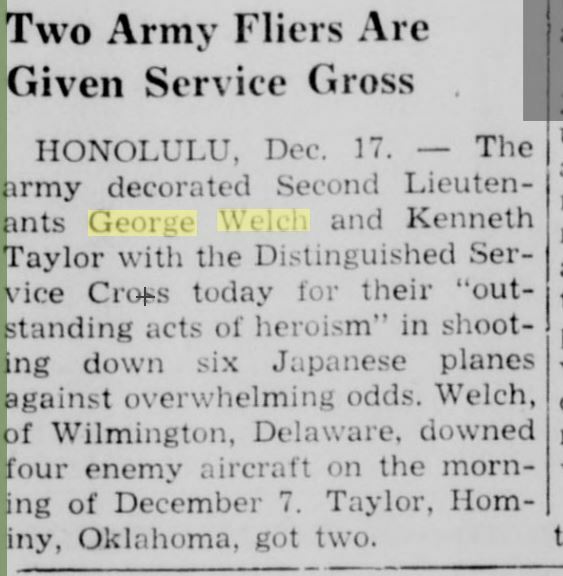 Today would have been the 100th birthday of George Welch, one the two Army aviators who was able to get his fighter plane into the air during the Japanese attack on Pearl Harbor. Welch and Kenneth Taylor were returning from an all night poker game when they heard about the attack. Welch drove at high speed to an auxiliary airfield, where they took off in a pair of Curtiss P-40s. Welch claimed that he shot down two Japanese dive bombers, but one was only damaged. Welch and Taylor received the Distinguished Service Cross, second only to the Medal of Honor. Welch sold war bonds, then went back into service in New Guinea. In 1944, he became a test pilot for North American Aviation. In 1954 he died testing the F-100 Super Sabre. French ace René Fonck was the highest-scoring Allied ace, with 72 confirmed victories. 100 years ago today, on 09-May-1918, he shot down six German airplanes. "Yesterday Lieut. Fonck brought down six German biplanes in the course of two patrols. He downed the first two in ten seconds, the third five minutes later and the other three in the course of the second patrol." Lieut. Fonck's achievement of yesterday has never been equaled. He is the greatest French air battler since the death of Capt. Guynemer. Lieut. Fonck, who recently took a leading place among the French aces, was credited unofficially nearly a month ago with . having shot down thirty-four German machines. He is described as a remarkably cool and daring fighter. Recently he caught two German machines in a squadron of eight, felled one of them and put the other to flight. A year ago Lieut. Fonck was unknown as a fighting aviator. He entered the aerial service as pilot of an airplane regulating artillery fire. After more than 500-hours of flight over the line and two victories over German planes which had attempted to interfere with his work, he was sent into a squadron, of pursuit planes. Eight days later, on May 13, 1917, he became an ace, being cited officially as having destroyed his fifth airplane. He is twenty-three years old. I found it interesting that "questionnaire" was a war word, and that the English equivalent was "questionary." Ally (a-lie). Accent on second -- not on first -- syllable. Widely mispronounced. Aeroplane (ay-er-a-plane). Accent on first syllable. Not air-a-plane. Accouter (a-koo-ter). Accent on second syllable. .
Caisson (kay-sen). Accent on first syllable. Caponiers (kap-a-neers). Accent on third syllable. Camouflage (kah-moo-flazh, both a's as in "father"). Accent on last syllable. Cantonment (kan-t'n-m'nt). Accent on first syllable, preference of Century Dictionary, of President Wilson and Secretary Baker, and of majority of New Standard's board on disputed pronunciations; or (kan-toon-ment) atfcent on second syllable, preference of New Standard and of many military men. Kan-tone-ment is wrong. Communique (kah-moo-nee-kay, first a as In "father," second as in "ate"). Accent on last syllable. Khaki (kah-ki, a as in "father"). Accent on first syllable. Morale (mowe-rahl. a as in "father ). Accent on second syllable. Lese majeste (leez maj-es-ty). Accent on "maj." Poilu (pwah-luj. Accent on first syl lable. a as in "father." Questionnaire ( kes-yun-nalr). Accent on third syllable. The Standard alone records qwes-chun-nair. accent on third syllable, which Dr. Vizetellv, managing editor of the Standard, de clares an error Questionnaire is the French form of the English "questionary." Ukase (you-kace). Accent on second syllable. War Names in Current Usage. Amiens (ah-mi-ahm. a's as in "father"). Accent on third syllable; or, ay-mi-ens. accent on first syllable. Arras (ahr-rahs, both a's as in "fa ther"). Accent on second syllable. Avignon (ah-vee-nyon, a as In "fa ther," o as in "nor"). Accent on last syllable. Avre (ah-v'r). Accent on first syllable. Beauvais (bowe-vay). Accent on second syllable. Belfort (bell-fore). Accent on second syllable. Budapest (boo-dah-pest. a as in "fa ther"). Accent on first syllable. Calais (kal-is). Accent on first syl lable); or. (French) kah-lay. a as in "father." accent on second syllable. Cambrai (kahn-bray). Accent on second salable. Cherourg (sher-boor). Accent on second syllable. Dieppe (dee-ep). Accent on second syllable. Dinant (dee-nahn). Accent on second syllable. Halle (ah-lay). Accent on second syllable. Limoges (lee-mozhe). Accent on second syllable. Malines (mah-leen. a as in "father"). Accent on second syllable. Moreuil (mow-rool). Accent on second syllable. Nieuwport (noov-port). Accent on first syllable. Montdidier (mawn-dee-dee-ay). Accent on last syllable. St. Quentin (sahn kahn-tahn, a's as in "father"). Accent on last syllable. Noyon (nwah-yawn, first a as in "father," second as in "raw"). Accent on second syllable. etrograd (pay-tro-grodd). Accent on first syllable. Picardy (pick-er-dy). Accent on first syllable. Poiters (pwah-tee-ay. first a as in "father"). Accent on last syllable. Rampeux (ram-poo). Accent on second syllable. Rouen (roo-ahn). Accent on second syllable. Trouville (troo-veel). Accent on second syllable. Ypres (ee-per). Accent on first syllable; or eep'f. Aerodrome -- Course where airplanes are tried out. Aircraft arrows -- Spiked weapons dropped from airplanes. Barrage fire -- A concentrated shell flre along a given line. * Boche -- Nickname applied to a German. Pronounced "bowesh." Curtain of fire -- A rain of shell-fire to check advance of enemy's reinforcements. Enceinte -- A principle fortification line. Pronounced ahn-sahnt (accent on last syllable). Firing step -- A shelf , or sill in a trench, from which a soldier directs his aim at the enemy. Listening post -- A post at which soldiers are stationed with apparatus for listening for mining operations, etc., of the enemy. Smoke screen -- Blanket of thick black smoke ejected mechanically by ship (when attacked by U-boat) so that its exact location behind the cloud cannot be determined by pursuing "sub." * An abbreviation of "caboche," a French word, meaning "head," but by extension, popularly, thickhead. Happy Cinco de Mayo everyone. 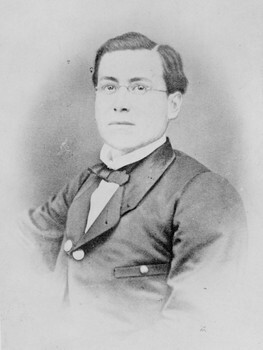 General Ignacio Zaragoza Seguín led the Mexican army which defeated the French invaders at the Battle of Puebla in 1862. "The national arms have been covered with glory" General Zaragoza wrote in a letter to President Benito Juárez. Some people credit this defeat with preventing French interference in the US Civil War. French ace René Fonck was the highest-scoring Allied ace, with 72 confirmed victories. Georges Guynemer was France's most popular ace. On 11-September-1917, Guynemer went missing in action. French "Ace," Fonck, Avenger of Guynemer, Tells of His Battles In Air. Cablegram to The Sunday Star and Chicago Daily News. Copyright, 1918. WITH THE FRENCH ARMY, April 12. -- "A battle between two aeroplanes is a duel." Lieut. Rane Fonck. the avenger and successor of Capt. Georges Guynemer. France's fallen king of the air. said to me today. We were having after-dinner coffee and pilots from other squadrons, with soldiers from other branches of the army, had stopped at our table to shake hands and chat with one among France's greatest living fighting aviators. Therefore. Lieut. Fonck. as a rule so reticent, talked a bit more freely, than he usually does. "In this duel the chances of victory are overwhelmingly in favor of the pilot who is the best trained and the coolest," the "ace" continued. "Flying a chasing aeroplane is extremely hard and fatiguing work. A pilot to be successful must keep himself in the best condition by undergoing a regime as rigorous as that of a foot ball player training for a championship match. He must keep regular hours. with no drinking and no excesses of any kind, otherwise the aviator is a failure and worse than useless. In the air a pilot must be absolutely self-confident and feel that he is better than his adversary and must never lose. Quickness of decision is the most important quality. "Individuality counts for more in aviation than in any other branch of the war service. The Germans have a very good and well equipped aviation corps, but there, as everywhere else in their army, individualism is snuffed out. German pilots hardly approach our lines otherwise than as patrols. consisting of from eight to twelve aeroplanes. They work under many rules made by men who have never flown. We often make sorties alone, but I consider that small patrols get the best results. Put a good man in command of a patrol, and the other pilots, even the young and inexperienced, will imitate their leader and win victory." It was with more difficulty that I induced Lieut. Fonck to talk about himself and his exploits. "I planned and studied since I was twelve years old to be a mechanical engineer," he said. "Becoming interested in aviation, I entered a training school and was instructed by Pegoud, who moreH than deserved his reputation as a wonderful flier. I was brevetted as a pilot In 1913, and the war began before I was drafted for military service (Fonck belongs to the class of 1914), but as soon as the boches started hostilities I entered the aviation corps and was soon at the front. For almost three years I flew reconnaissance. photographing and artillery , fire regulation aeroplanes. While doing reconnaissance work I shot down my first and second German machines. I attacked the first victim well within our lines, putting several bullets in his motor, forcing the pilot to land. I made him and his passenger prisoners. The only time in my entire career when I Was brought down was on a regulation flight. I crossed the line at fifty meters (164 feet) altitude. By mistake I was fired upon by the French. The aeroplane was vitally hit and fell to the earth between the lines. I was uninjured. but forced to run for our trenches, happily escaping the boche ballets. "In May, 1917, I was transferred to the chasing aviation, in which I had long wished to be. To date I have destroyed fifty- German aeroplanes, of which thirty-three have been placed tb my official credit. The others fell too far within the enemy lines for confirmation. In Flanders last fall, and also in the present battle, conditions have been such that verification of most of our victories has been impossible. Since I entered chasing work I have not had what I consider a narrow escape. I have never felt frightened or excited, though sometimes I find that I have perspired freely during a long, drawn-out combat. "I have no special method of attack. Immediately my opponent makes a move I know just how able a pilot he is and determine my tactics accordingly. I never hesitate to take chances. Usually I open fire when I am 150 meters (492 feet) from my adversary and continue until he begins falling or until I am five meters (sixteen feet) away from him and then swerve to avoid a collision. It is really amusing to attack a pilot who is afraid. During my first victories I always felt the thrill of pleasure when my adversary started falling. Now it is an old story, and I merely think, 'Well, it's another boche less. I like most to see the vanquished machines turn over in the air and the occupants break loose from the straps and fall through space. "My most difficult fight was at Verdun last January, when I attacked seven boche machines alone, shooting down two." "Last week near Montdidier I attacked two Tango pilots, who were pro (text missing - JT) The two Tango aeroplanes crashed, flaming earthward within twenty seconds of each other, but their protégé had gotten away in the meantime. As yet my aeroplane has never once been hit by an enemy bullet. I attribute my success more to mastery of the machine than marksmanship, although the latter counts for much, also. Ninety per cent of the pilots know nothing about motor or aeroplane construction, and are therefore at the mercy of their mechanics. If the latter are incompetent, accidents often happen. I know every part of my machine, and often overhaul the same. Give me the worst machine in the squadron and let me work on it one week and It will be the best In the group. But it is my opinion, after all, that good aviators are born rand not made." Lieut. Fonck is barely twenty-three years old. He was born in the Vosges mountains, the son of an Alsatian, who fought the Germans in 1870. After his homeland was annexed by Bismarck he emigrated to France. Like all sons of the lost provinces, young Fonck loved France with ardent patriotism and hates Germany bitterly. He is of medium height, fair haired and has gray blue eyes. He realizes that he has accomplished things worth while, but at the same time he has a most attractive air of real modesty. He blushed and protested today when he was introduced by a comrade, an artillery officer. as "our greatest ace." Lieut. Fonck is one of the youngest living officers of the Order of the Legion of Honor. In addition to the officer's cross of that order, he has been decorated with the French military medal, the war cross with eighteen palms -- one for eaofc citation in army orders -- two English and two Belgian war medals. He has an interesting and rapidly growing collection of souvenirs coming from the boche machines he has destroyed. He values most a shoulder badge from the coat worn on his last flight by Wissemann, the German, who by a chance bullet killed Guynemer. Wissemann had but recently arrived at the front when he encountered Guynemer. After the victory he wrote a letter, which was published In German newspapers, in which he said that he considered himself invulnerable, as he had killed France's best pilot. A few days later the conceited Teuton encountered Fonck and death. Lieut. Fonck's comrades are virtually ail aces. With such an inspiring example constantly before one it is impossible for a man not to do his duty well. Today is International Workers' Day. 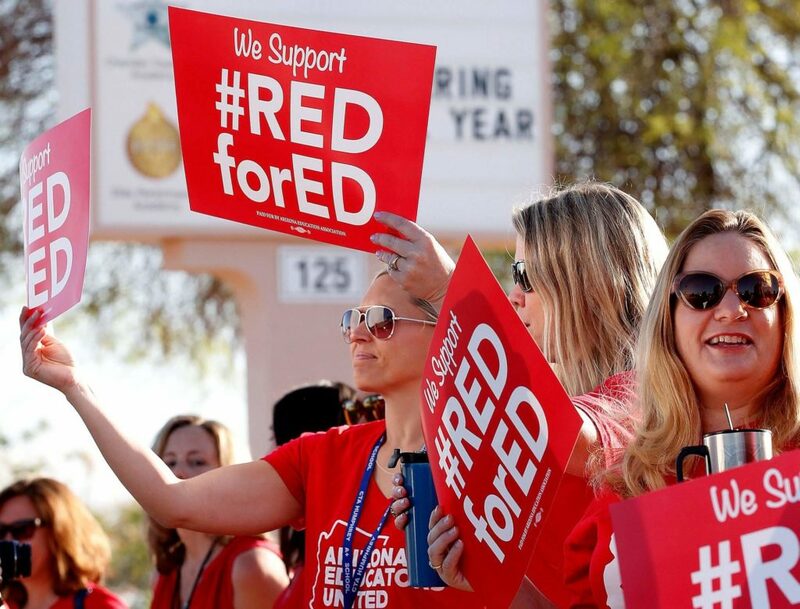 I am happy to see that teachers in several states, including West Virginia, Colorado and Arizona. We all need to push back against the people who want to kill public sector unions and we need to give our children the best education that we can. 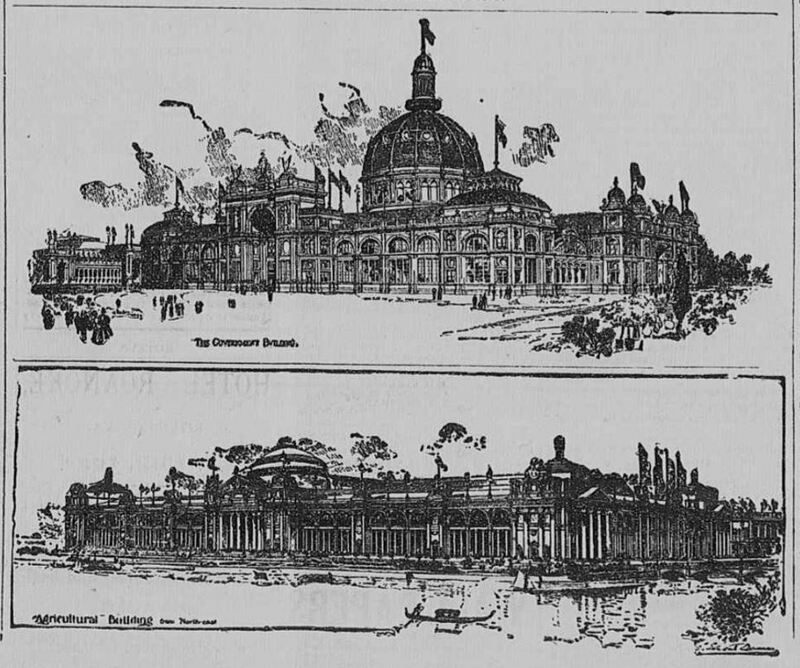 125 years ago today, on 01-May-1893, the World's Columbian Exposition opened in Chicago. Even though it missed slightly, it was meant to celebrate the 400th anniversary of Christopher Columbus landing in the New World. This article is from the 02-May-1893 Roanoke Times. "Esquiman" means "Eskimo," which is a term not used nowadays. Previous Expositions Relegated to the Rear. Cleveland Touched the Button the Machinery Did the Rest. Great Energy Displayed In Putting the Ground In Presentable Shape -- Tlie Inaugural Programme Carried Out -- Majestic and Harmonious Arrangement of the Entire Scene -- Two Years Ago a Marsh, Now the Scene of Bewildering Evidences of the Aesthetic Progress of the Nation -- Rivalry Between France and Germany -- Description of Some of the Magnificent Buildings. CHICAGO, May 1 -- The great fair is on. The inaugural programme of the first began the formal opening of the most stupendous exposition the world has ever beheld. For six months to come people will flock to this city from every quarter of the earth, and nobody is rash enough to predict failure on any of the lines mapped out by the directors. Great energy was displayed in the last hours before opening to put the unfinished buildings in presentable shape, and the result was in a measure satisfactory. Director General Davis issued an order that all exhibits must be in place before 12 o'clock (midnight) Sunday. After that hour no teams were allowed to enter the grounds carrying exhibits, and all energies were devoted to cleaning up the grounds and placing them in readiness for opening day. It is understood, of course, that after Monday exhibits will be received, but in some of the buildings installation work will be permitted only at night. 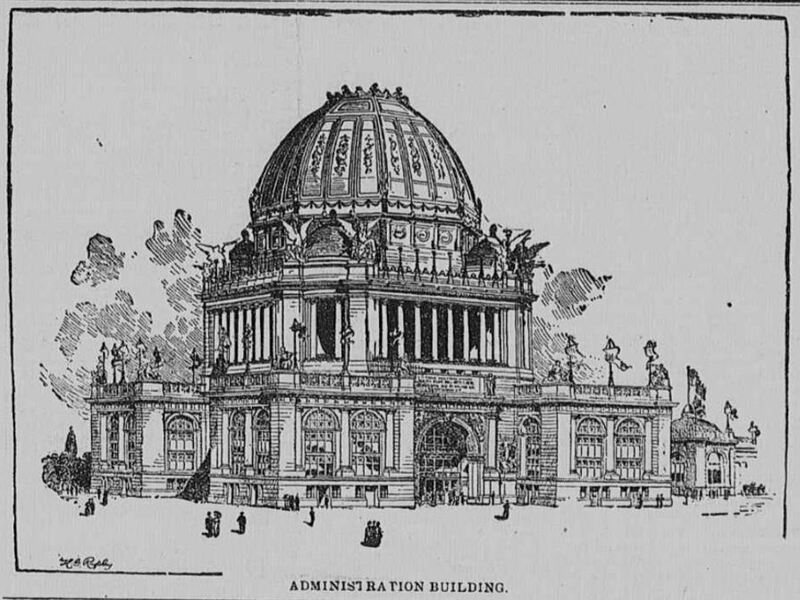 The inaugural ceremonies began with the rendering of the "Columbian March" by the orchestra, after which the Rev. W. H. Mllburn, D. D., chaplain of the house of representatives, offered up prayer. Miss Jessie Goutthor of Chicago followed in a dramatic rendition of "The Prophecy," a poem by W. A Croffut of Washington. Then the orchestra played an overture from "Rienzi." The address of Director General Davis, while not long, was attentively listened to and warmly received. 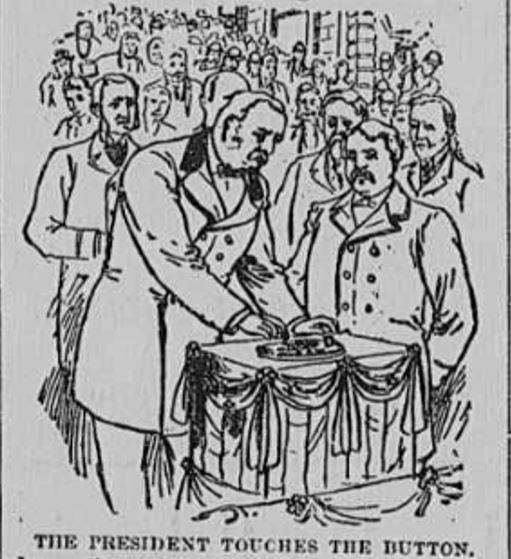 After Mr. Cleveland had finished his speech and President Palmer had announced the completion of the buildings and their acceptance from the officers of the exposition, Mr. Cleveland proceeded to touch the button that set the vast machinery of the fair in motion. This was the signal for great applause from those present, and the orchestral music was drowned by the tumult. When tho president touched the button 700 flags and banners on the main building broke out, and the stars and stripes waved over an open fair. There was a man for each flagstaff on the main buildings and grounds. The method of unfurling was the same as that employed upon men-of-war. There was no choral music at the opening. In the erection of the platform someone omitted a place for the chorus, and the music, therefore, consisted of orchestral pieces only. The Parade to the Grounds. 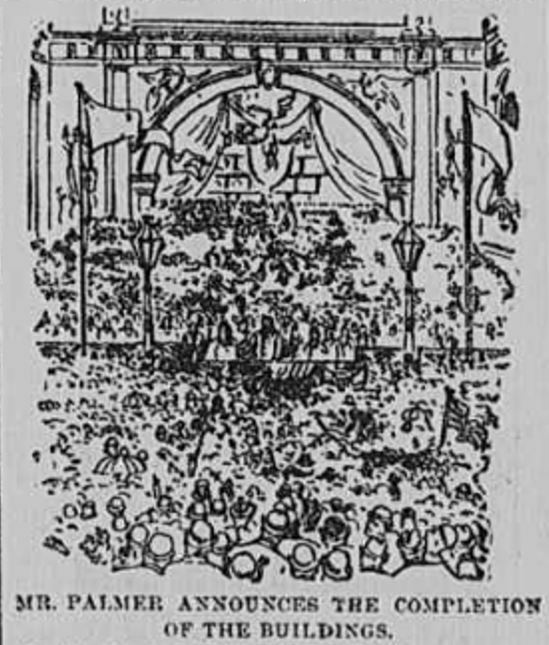 The grand stand, which filled up the east entrance to the Administration building and projected out on either side in front of the pavilions, seated 2,000 invited guests, 600 musicians and 250 newspaper representatives, besides the 50 distinguished guests who were on the little platform which had been thrown out in front for President Cleveland. The rendezvous of the various organizations and carriages that had place in the parade was in the vicinity of the Lexington hotel. The column marched on Michigan avenue along the Grand boulevard to Fifty-first street. it proceeded thence through South park by way of Bayard avenue to Palmer avenue, thence to the western entrance of Midway plaisance. At this point Colonel Rice, commanding the Columbian guards, met the column und guided it to Jackson park, thence to the Administration building, where the column dispersed. After luncheon the president was escorted to the Manufactures building by Director General Davis, where he was introduced to the members of the foreign commission, who were grouped in the center of the building, and visited them in their sections. He then passed out to the Government building and afterwards was driven around the grounds. A Spectacle of Peaceful Triumph. Never since the world began has there been a nobler spectacle of peaceful triumph than that which was revealed on the shore of Lake Michigan when the nations of both hemispheres offered for comparison the results of their civilization. For the first time America squarely challenges the older countries in every branch of human knowledge and activity. Hitherto her victories have been in the line of material development -- the form of government alone excepted. Americans have amazed Europe by their inventive enterprise and undreamed of energy, But in the things that are born of imagination and an ordered love of beauty the western republic has been content to sit at the feet of strangers until now. This exposition marks no epoch for America save in art. The stride of American art as revealed at Chicago is stupendous, mysterious. Reaching out for a mile along the lake is an architectural vision of indescribable grandeur and beauty. It is not alone the individual character of the buildings, but also the majestic and harmonious arrangement of the entire scene that reveals the pure and high artistic feeling animating the work -- the relation of each building to the other in purpose, color, proportion and outline, the variety of composition and the well nigh perfect unity of the whole. Instead of a mighty display of mere material force of mechanical progress there suddenly bursts upon the sight bewildering evidences of the aesthetic progress of the nation. In this immense city of white palaces, built on a naked stretch of sandy marsh in two years, there is unveiled a new America. A soul has been born. The mechanic and the merchant are awed as they look upon the great central court, with its splendid stretches of architecture, its rostral columns, peristyles, domes, sculptured groups and fountained terraces, all mirrored in the beautiful basin. Here rows of delicate Corinthian shafts, from the temple of Jupiter Stator unite the majestic walls that surround agriculture and commerce; there the gilded dome of the Administration building rises against the blue sky out of a multitude of glorified symbols, and a full half mile away stands the noble Art palace, an architectural dream realized, with its miles of pictures and statues gathered from every corner of the earth. A little over two years ago the site of the exposition was practically a wild marsh. Today it contains several hundred buildings. Director General Davis estimates the wealth represented by the buildings and exhibits at something like $150,000,000. Fifty nations and 37 colonies are represented. Added to these are the United States government and the various states and territories of the union. Rivalry of France and Germany. Roughly speaking, the grounds contain 600 acres. They are a mile long and about half a mile broad at the narrowest part. The distance front the middle of Chicago is seven miles. One side of the grounds runs along the great lake and the other side faces hundreds of claptrap hotels and stores hurriedly erected at the smallest possible cost. There, is a strip of land 600 feet wide and a mile long extending from the main grounds eastward, and this is the Midway plaisance, which contains the sideshows and private enterprises. The whole exposition will be open from an early hour in the morning until 10 o'clock at night and the price of admission 50 cents. The first great, fact developed by the exposition is the rise of America to the rank of an art producing nation. That stands out clear and unmistakable. It is written all over the buildings, without and within. Everywhere in the present exposition can be seen fierce and open rivalry between France and Germany. Their ill concealed anxiety to hide their plans from each other in the formative stage of the fair has been the cause of quiet laughter on all sides. The result of it all is that France easily leads Germany in the fine arts, but falls to the rear in the mechanics. In the other departments they stand about equal, except that the finer taste of the French is quite apparent. Later on there will be a bitter social rivalry. The Germans have built a handsome structure for themselves, and it is to be presented to the city of Chicago at the close of the fair. Not far away is the home of the Frenchmen, made more attractive by relics of Lafayette, Rochambeau and others whose swords served the American republic. The exposition is marked off into three great divisions. At the north end is the Art palace, surrounded by the separate buildings of the states, territories and foreign governments. This is the social department, and millions of dollars will be spent in the entertainment of visitors and in formal banquets. Going southward are to be found three-quarters of a mile of structures representing manufactures, machinery, electricity, mining, agriculture, horticulture, forestry and minor material interests, with buildings here and there representing women, music and the government of the grounds. The third division is the Midway plaisance, dedicated to Oriental villages, dancing girls, balloons, bear pits, glass blowers, panoramas, barbaric theaters and everything that goes to make up the side show life of an International exposition. Here alone will the visitor be forced to pay extra. Outside of the Midway plaisance everything is free after the general admission fee is paid, with the sole exception of the Esquiman village and the cave of the cliff dwellers. It was the genius of Frederick Law Olmstead that turned the waters of Lake Michigan into lagoons, ponds, basins and canals with bridges and terraces to beautify the place. Every main building can be reached by water. There are 50 electric launches and scores of gondolas oared by picturesque Venetians. It costs 35 cents a trip on the launches and the gondolas can be employed at so much an hour. An intermural elevated electric railway penetrates to all part of the grounds, and visitors can make their rounds with great rapidity if they do not care to walk. The pomp and splendor of the Administration building is beyond description. It is in the form of four massive pavilions, united and crowned by a mighty golden dome that flashes 250 feet above the ground. Each of the pavilions is 84 feet square and the dome is 120 feet in diameter. The colossal entrances are rich in sculptures, and the piers of the pavilions are crested with statuary. This is the seat of government. In the four pavilions are the headquarters of the director general, the foreign department and the department of publicity and promotion. Here the purely executive work is carried on, the construction headquarters being in the service building. During the construction period Director General Davis has commanded more than 15,000 men at a time, and Major Handy, of the bureau of publicity, has supplied a list of 70,000 correspondents. From this building messages are going out constantly to the most remote corners of the world. It must be understood that the exposition is a city, with a complete government. There are over 50,000 exhibitors, and two persons for each interest represented would give, a fixed population of 100,000. There are well organized and equipped police and fire departments. The Columbian guard is an independent body of police numbering in the neighborhood of 2,000 men, largely made up of ex-soldiers. This body is commanded by Colonel Edmund Price of the United States army, and all of its superior officers are detailed from the army. The men are uniformed like soldiers, wear short swords and are under strict military discipline. They present a fine appearance scattered about the grounds. 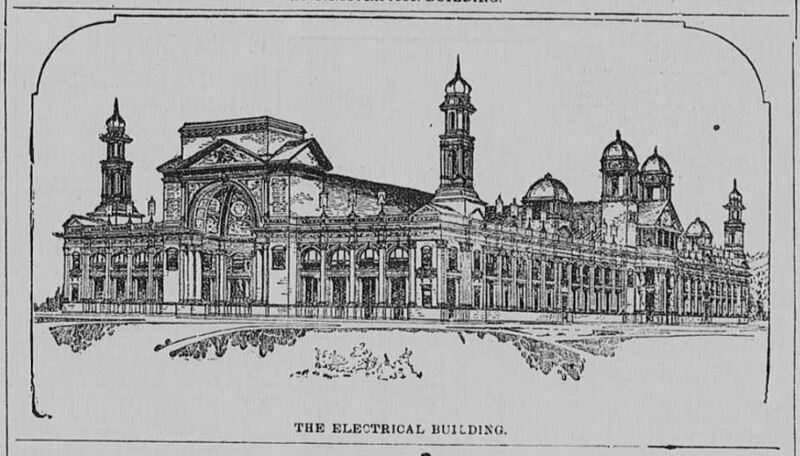 Lofty towers and splendid colonnades give an air of graneur to Machinery hall, although the cathedral effect is too marked for such a building and the attempt to blend the Spanish renaissance and modern railway depot architecture can hardly be considered a success. One impressive feature is the wonderful battery of 30 big boilers built side by side and joined together. They are all water tube boilers and represent the seven styles used in America. This row of monsters can furnish 30,000 horse power. The spectator is apt to be mystified when he notices the spotless fronts of the boilers and engines and the snow white costumes of the firemen. There is not a fleck of dirt in sight. The secret of it is that the furnaces are fed with petroleum, which is blown into them in an atomized form and instantly converted into flame. This oil is pumped through pipes from Whiting, Ind., so that the man who really controls the acres of machinery and miles of electricity of the exposition is the Hoosier in the far away oil fields who turns on or shuts off the supply at will. The latent force that flows out of the bowels of the earth in Indiana continues in an unbroken line of change from boiler to engine, from engine to dynamo and so on until it reaches its crowning glory in an electric searchlight that illuminates the country 60 miles away. The battery of boilers and the fuel system are the chief points of interest in the whole display. The boilers alone take up 1,200 feet of space on the south side. America will make two revelations to the world at Chicago in her art and electrical displays. Out if the myriad forms beauty will come no new school of art. The people of the western world will simply prove their right to rank with the older nations. But electricity, the giant captured from the heavens and reduced to domestic slavery on earth, will glorify the genius of American mechanics. Not a wire will be allowed above the ground, the circuits being all established by means of wooden tunnels laid to every part of the grounds and buildings, and through these subways the wires are carried on insulators fastened to the two sides, having a space in the middle large enough for attendants to pass. This whole system is a miniature of the subway system which Professor Barrett, who is also chief electrician of Chicago, has developed for the city. There are 7,000 arc lights for service, 2,500 of which are about the grounds and the balance inside of the buildings. The lamps on the grounds, are placed upon ornamental iron posts 15 feet high at intervals of about 50 feet. They are located with special reference to the landscape arrangement and the lines of the buildings. As the World's fair is a small city within itself, a fair idea is given of are light service for municipal lighting. No attempts at outside arc decorations have been made, excepting in the cases of a few of the state buildings, where they have undertaken to light up the statuary for night views. Nothing to Thank Corporations For. The railroad men say they don't believe there will be any great difficulty in accommodating the crowds bound for the World's fair. It is not expected that there will be any enormous numbers of passengers, though the travel will be of course very much larger than ordinarily. One of the reasons that will keep down the travel is the fact that the price of railroad tickets has been little reduced. Practically speaking, the railroads have made no reduction in the fare. 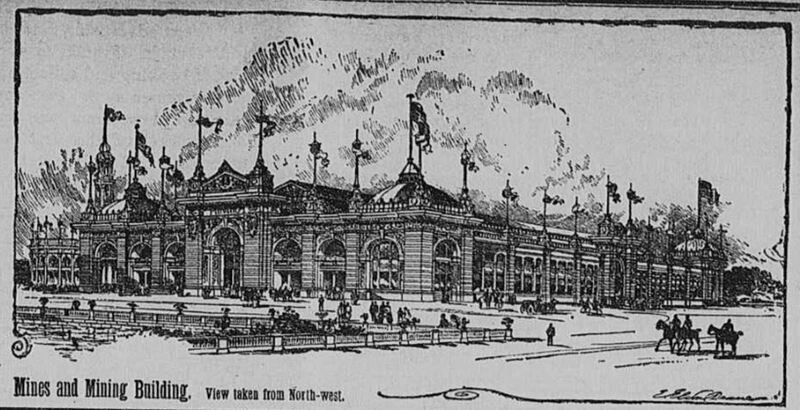 If a man wants to get to the windy city in any kind of style and at a decent rate of speed he must pay as much during the fair as he has paid at any time within a year. On the ordinary first class trains of the first-class roads the. fare one way is $20 from New York. The price of the sleeper all the way through is $5, making the total $25. On the "limited" trains there is an excess charge of $3, bringing the cost, of the entire ticket up to $28. All of these tariffs are, of course, exclusive of meals which in the dining cars cost $1 each. The only concession made by the railroads is this: On trains that take 36 hours to make the journey special excursion tickets are issued at the price of $32. On trains that do the trip in less than 36 hours these tickets are not good. This is recognized everywhere as a pretty grasping way of doing business and the public are in a position to thank the corporations for nothing.